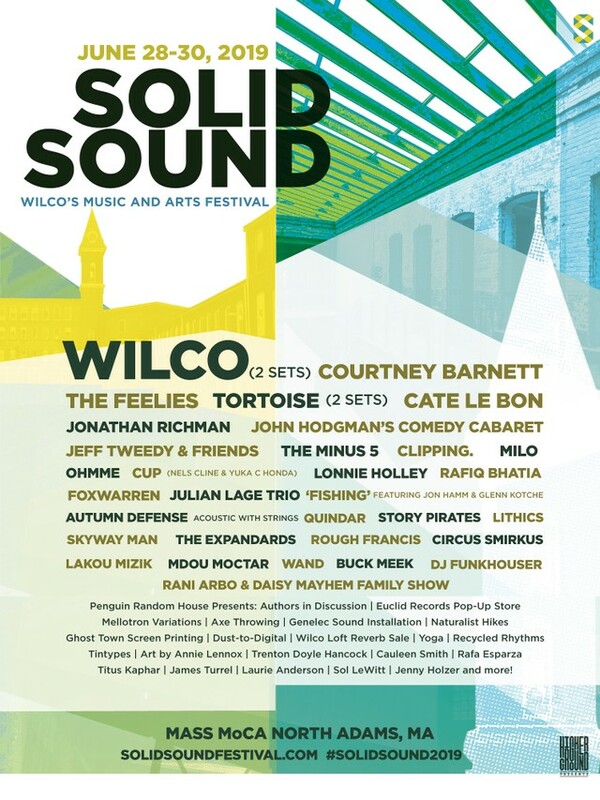 Wilco has announced the 2019 line-up for their Solid Sound music festival, which is scheduled to take place at MASS MoCA in Western Massachusetts from June 28-30. 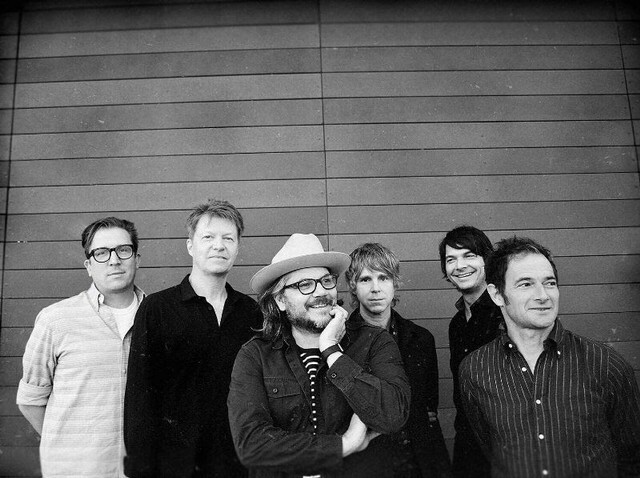 This year’s roster includes Wilco (the headliner every year, with 2 sets), Courtney Barnett, Tortoise (2 sets), The Feelies, and Cate LeBon as headliners, with Jonathan Richman and Jeff Tweedy & Friends following closely behind. Other notable acts slated to perform include Lonnie Holley, Ohmme, Clipping., Milo, The Minus 5, Big Thief’s Buck Meek, and Cup (a collaboration between Wilco’s own Nels Cline and Yuka Honda). This year will also feature a wide variety of other activities and series, from an authors in conversation series hosted by Penguin Random House, to a Comedy Cabaret, to an art exhibition featuring work by Annie Lennox, Laurie Anderson, and others. Dates for the festival were announced, and early bird passes went on sale, in October. 2017’s Solid Sound was co-headlined by Kurt Vile, Big Thief, and Kevin Morby, as well as Wilco. See the full poster for this year’s Solid Sound below, and buy tickets for the weekend here (Single day tickets go on sale February 28).